You will notice that almost all of the paintings displayed have been sold. I typically do not do editions of prints. However, if you see a painting and would like to have a print, I can do a “One Off” print as an Artist’s Proof. These are museum quality Giclee prints. They run between $450.00 and $750.00 depending on the size of the print. Also, if you would like to discuss my painting a similar painting for you, please send me an email at laurinmc@aol.com. I would love to hear from you regarding questions or comments about my paintings. I am teaching three upcoming workshops. 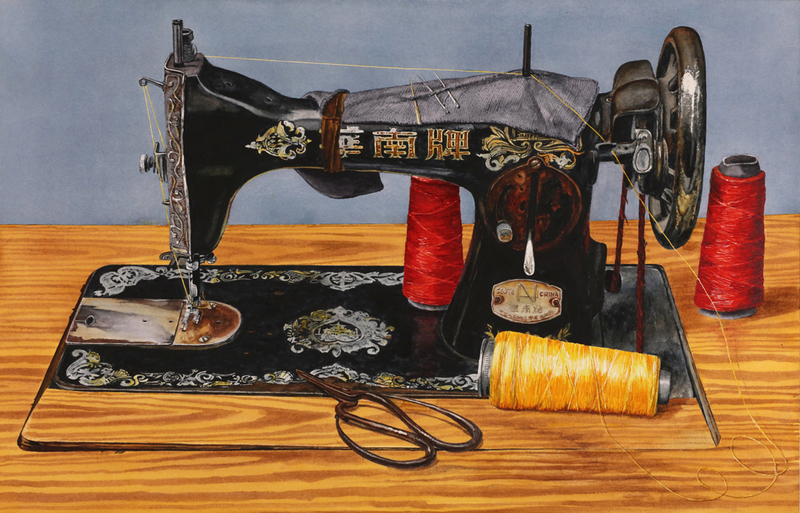 Participants will learn how to see, draw, and paint objects in realistic detail with watercolor. 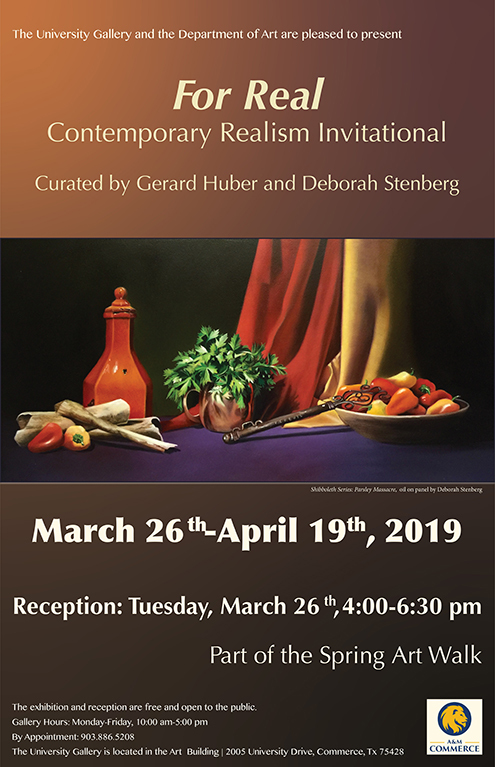 "Realism in Watercolor: Painting Clear and Colored Glass"
I have two paintings in this exhibition at the University Gallery of the Texas A&M Campus in Commerce, Texas. Below are images of the paintings and the exhibition poster. 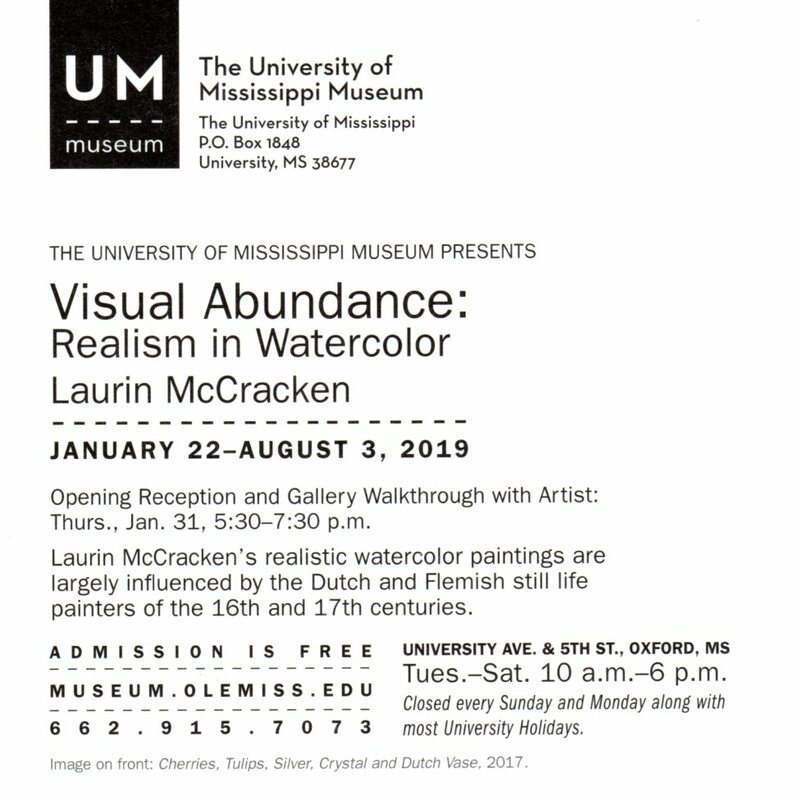 I am honored that The Art Museum of the University of Mississippi in Oxford, Mississippi, will have an exhibition of more than 60 of my paintings. If you are near Oxford, I hope that you will take the time to see the exhibition. The official opening is January 31st., 5:30 PM. 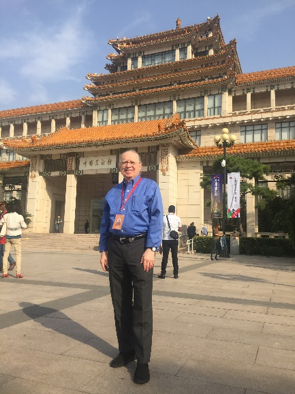 I will also be there March 20-21 giving lectures and demonstrations. 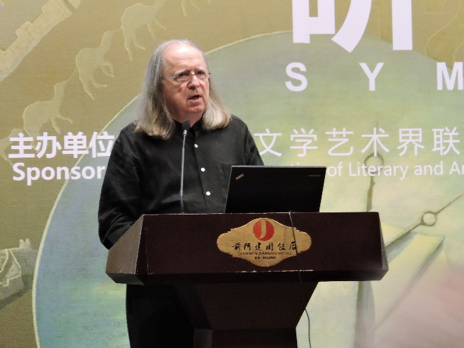 The exhibition will up from January 22 through August 3, 2019. 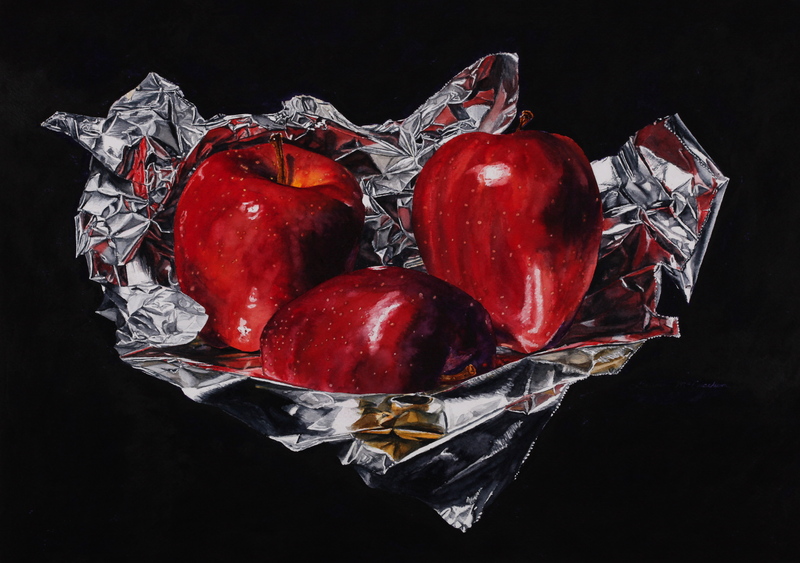 My painting, Red Apples on Foil, was selected for inclusion in the Royal Scottish Society of Painters in Watercolor 138th Open Annual Winter Exhibition. The exhibition was in the Royal Scottish Academy Building in Edinburgh. 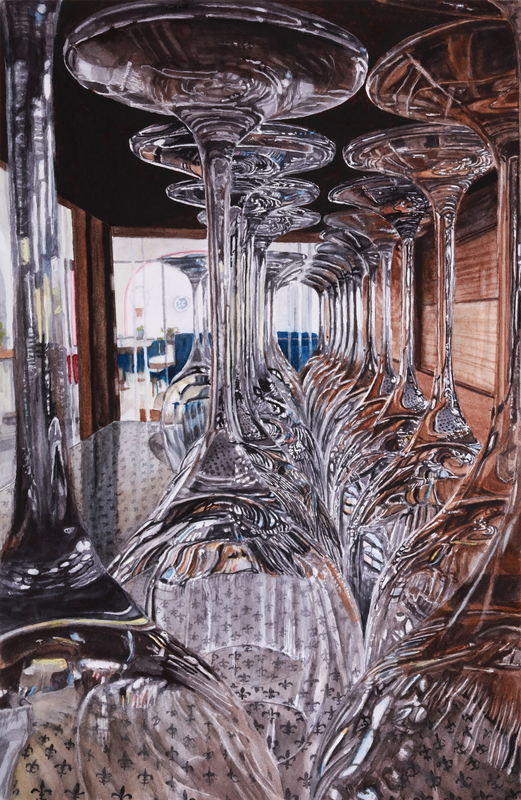 Also, my painting, Wine Glasses, won the Award of Excellence (1st Place) in the Watercolor Society of Alabama's 2018 National Online Showcase. I am pleased to announce that my painting Black, White & Red (38" x 28", 96.52 cm x 71.12 cm) has been accepted for inclusion in the 1st Universal Watercolor Exposition 2018 in China. 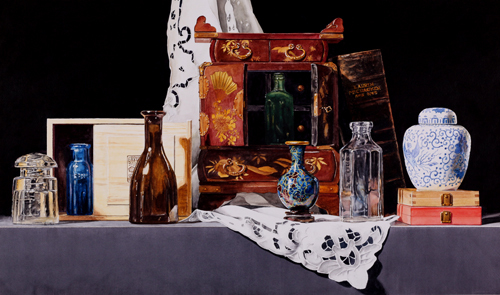 Of the 3,100 entries, 100 paintings were chosen for the exposition, and twelve received awards. I am please to note that my painting received an Award of Excellence. I would like to share with you this article, that appeared this week in the online magazine, VoyageDallas. Click here to go to the article. 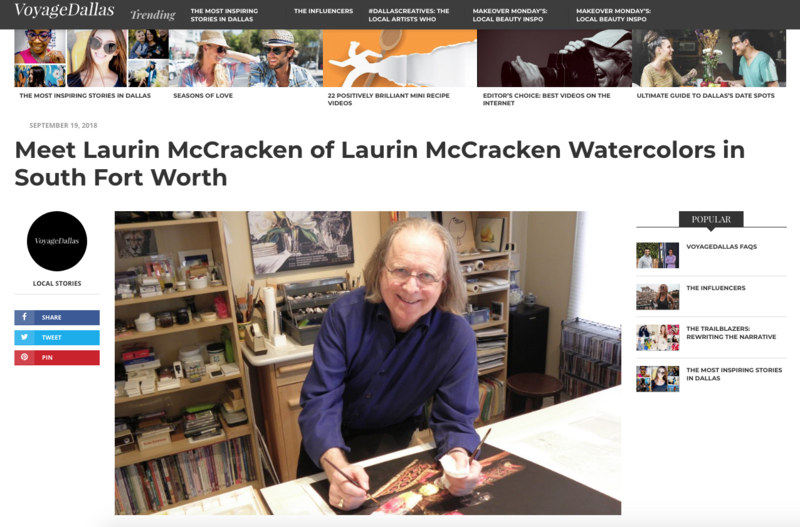 This article recently appeared in American Watercolor Weeekly, the weekly e-newsletter. The titled they used is "Change Starts With Us." (www.americanwatercolor.net) I welcome your comments, laurinmc@aol.com. Check out the two new downloads on my inPrint page: how I paint my black backgrounds and other helpful information from my workshops. In October, I was invited to attend and present at the Moscow Watercolor Festival at the Kalacheva School of Art. I was one of twelve guest artists invited to give workshops and demonstrations. I gave two demonstrations. 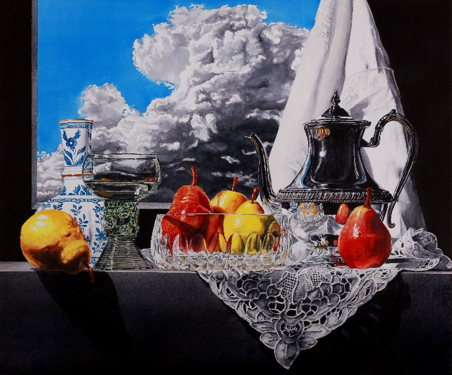 My painting, "Still Life with Clouds" (above left), was selected for inclusion in the 2017 National Watercolor Society 97th International Open Exhibition. 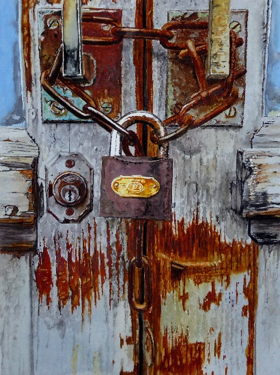 My painting, "Double Locked" (above right), was included in the Watercolor Salon II in Thessaloniki, Greece, in October 2017. 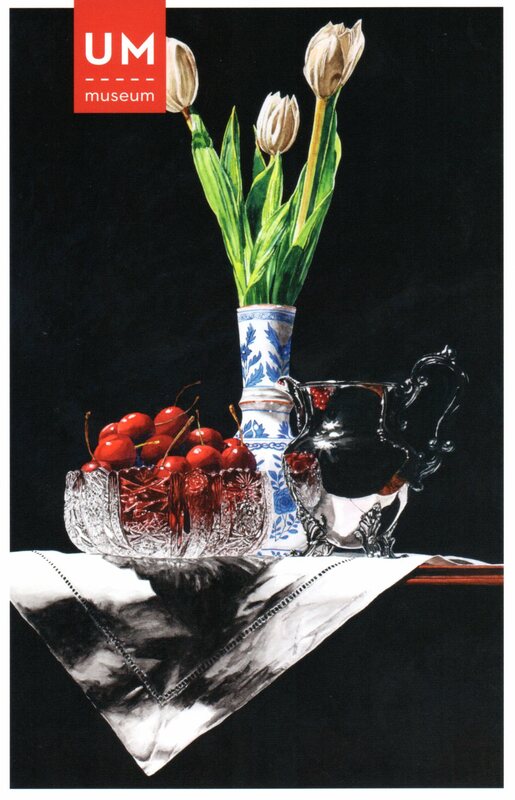 I am pleased and honored to report that my painting “Black, White & Red” has won “Best in Show” in the Richeson75 Still Life & Floral competition. Please go visit their site www.richeson75.com to see all the fantastic art that was submitted. 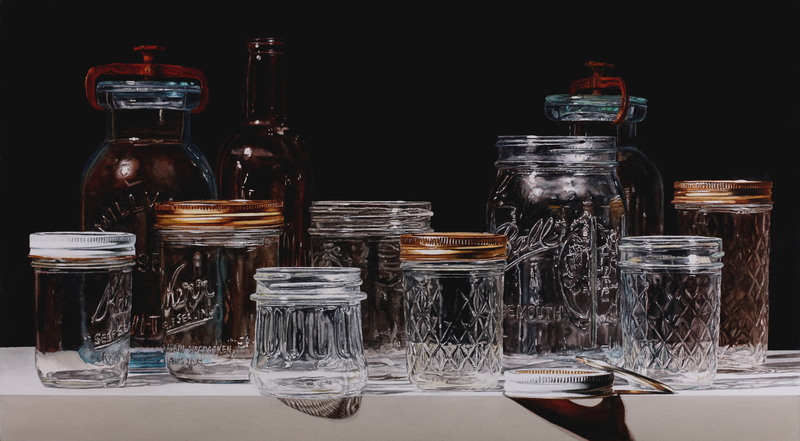 I am pleased to report that my painting Canning Jars on Black has been awarded the Morris Shubin, AWS, Memorial Award in this year’s American Watercolor Society 150th International Exhibition. The exhibition will be on view at the Salmagundi Club in New York City from April 3 through April 2, 2017. 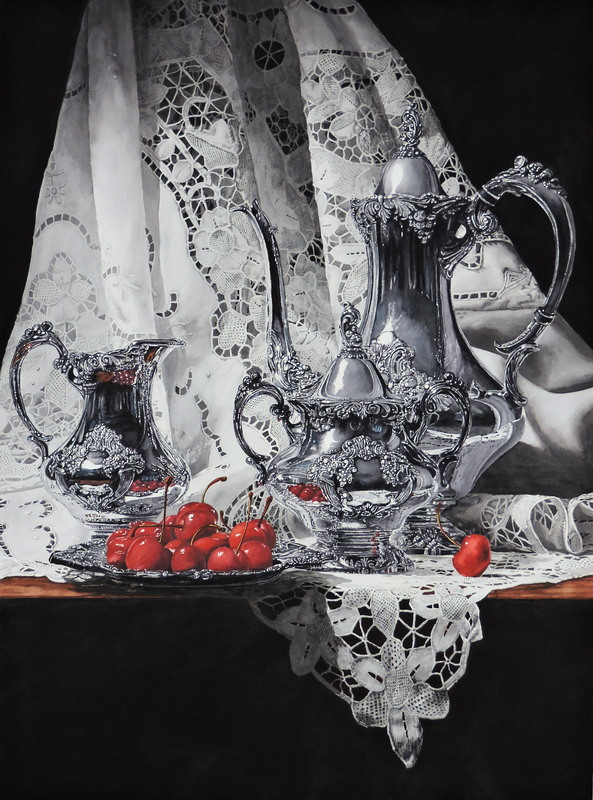 My painting, Silver, Porcelain and Magnolias has been selected for inclusion in the 40th annual International Water Media Exhibition of the Watercolor Art Society – Houston. The exhibition will be on view from March 14 – April 6, 2017, at the WAS-H Building in Houston, TX. I am, once again, the Country Leader for the USA for the Annual Fabriano in Watercolor International Exhibition to be held in Fabriano, Italy.